Is the ethylene in your kitchen getting out of control? Are your bananas ripening faster than you can eat them? Wake up tomorrow and whip together these Bananut Pancakes. You’ll feel full and energetic without feeling heavy from all that flour power. 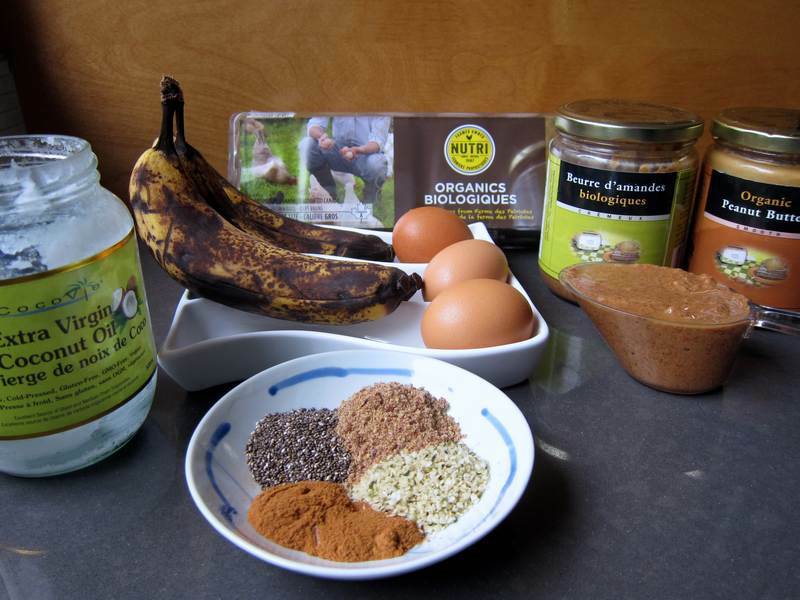 Combine banana, egg, nut butter and cinnamon and seeds in a blender, food processor, mix master or by hand until smooth. Preheat a skillet on medium-high and add coconut oil, coating the bottom of the pan. Use a 2 tablespoon measuring spoon to make medium-small sized pancakes. Reduce heat to medium-low and cook 2-­3 minutes until golden on the bottom and bubbly on top, then gently flip and cook for another 2 minutes. Serve hot, topped with fresh fruit, a dab of coconut jam and a swirl of Coconut Nectar. Goes well with a cup of coffee or a cold glass of almond milk. Makes 18 pancakes, serves 4-5. 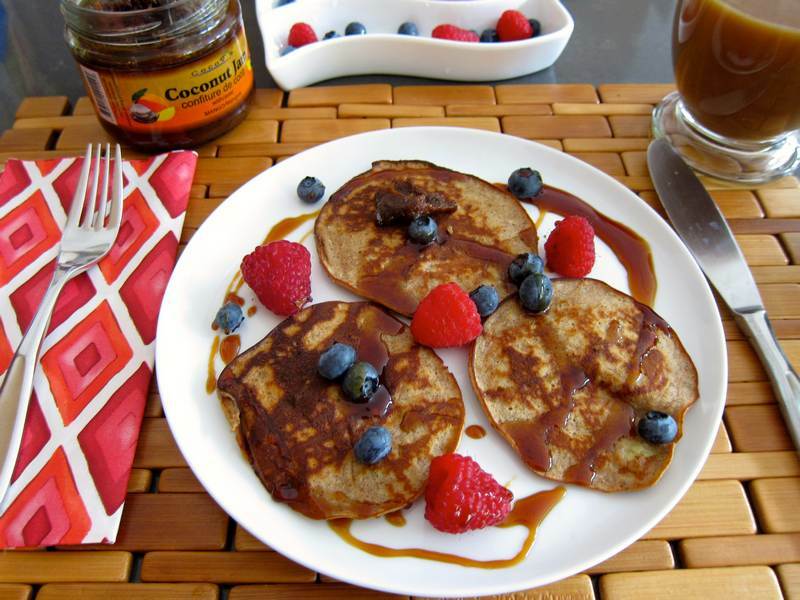 This recipe was inspired by these Perfect Paleo Pancakes and these 4-ingredient Paleo Pancakes. Don’t you just love being inspired by cavepeople? Ever wonder how to keep your bananas from turning brown? Here are 25 powerful reasons to eat bananas. I know! Just made a mini batch with 1 banana, 1 egg and 2 1/2 tablespoons of peanut butter. Superb with a big handful of blueberries. They freeze well too! mm looks delish!!!! i love recipes!!! this is so exciting! i enjoyed talking to u today thanks for the advice!! Thanks! Glad you like JC. Wow these are really packed full of delicious flavors! Thanks Lynn. You’ve just put me in the mood to make them again!